Art can heal. Perhaps no one knows this better than the patients and staff of NYC Health + Hospitals. During the 1930s, the Works Progress Administration (WPA) began commissioning artists to create artworks and illuminate government buildings, which included the hospital network. Today, with more than 3,000 works of art installed in lobbies, waiting rooms, corridors and patient rooms across its facilities, NYC Health + Hospitals holds the largest public art collection in New York City. But now, the art collection has found new support and new meaning with the Arts in Medicine initiative, launched by the Laurie M. Tisch Illumination Fund (LMTIF) in February 2019. With a $1.5 million grant, the program will significantly expand the offerings of the public health system, which serves 1.1 million New Yorkers annually. Taking advantage of NYC Health + Hospitals’ extensive collection, the Arts in Medicine program will introduce new initiatives such as guided art-viewing sessions created to enhance focus as well as collaborations between artists in residence, staff, and community members. Alfred Jensen, Guatemalan/American, 1903-1981. The Sum Of The Squares Of The Houses, 1973. Charles Henry Alston, American, 1907–1977. Man Emerging, 1969. Also part of the Arts in Medicine program, Man Emerging is a mosaic tile mural, located in the Main Lobby of the Harlem Hospital Center. Created during the height of the Civil Rights era, Man Emerging depicts a group of people: black and white women, men, and children are walking together, symbolizing that “man” can be understood as encompassing all humankind. 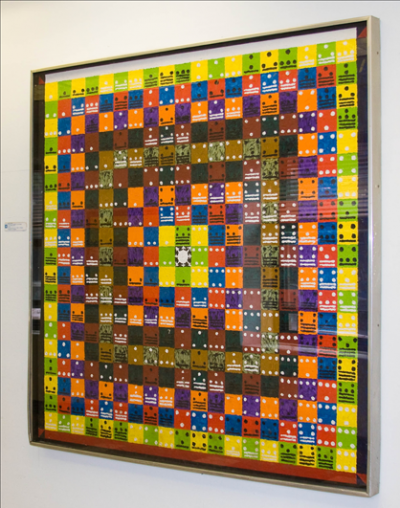 Also on view at the Harlem Hospital Center are two earlier works by Charles Alston, Magic in Medicine and Modern Medicine. 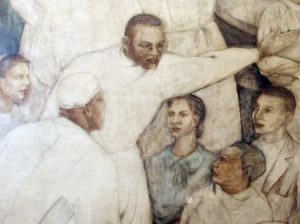 Commissioned in 1936 by the WPA, they were among the first major U.S.- government commissions awarded to African American artists. 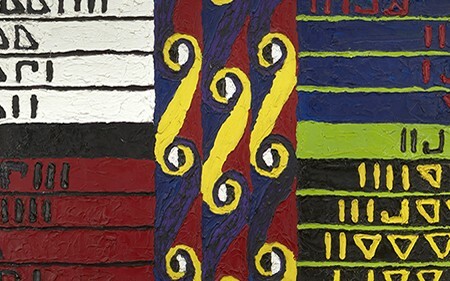 Restored in 2005, the diptych explores traditional and modern healing practices in Africa and in the United States. Charles Henry Alston, American, 1907–1977. Modern Medicine, 1940. Romare Bearden, American, 1911–1988. Untitled, 1974. Like Charles Alston, Romare Bearden created several works for the city’s public hospitals, through WPA commissions, and the Bellevue Hospital is home to Untitled (1974) and Cityscape (1976), a photo-silkscreen and collage mural depicting scenes from Harlem. 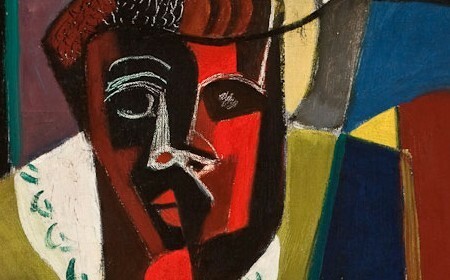 Both were executed following Bearden’s exhibition at the Museum of Modern Art (MoMA) in 1971 and are on view in the exact hospital where he was treated after collapsing on the street in 1956, realizing then, “I just had to be a painter, that was it.” Now Untitled, which depicts a colorful rural scene, is being used in the new programs funded by the Laurie M. Tisch Illumination Fund, and, perhaps, inspiring future artists. 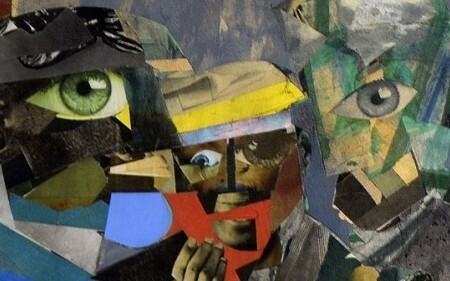 Romare Bearden, American, 1911–1988. Cityscape, 1976. Cover image: Charles Henry Alston, American, 1907–1977. Man Emerging, 1969.